The story of the MIT blackjack team, who took on the house and won huge amounts of money, is a well-know story, and the students have gone on to become admired and highly sought after in the blackjack world. MIT students are synonymous with being able to understand and implement strategies that the layman would not dare dream of. The sophistication of the technique these innovative students used blew the imagination of all. 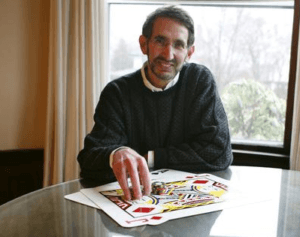 It all started with the Harvard student Bill Kaplan, who thought he could beat the casinos with his own strategies. Kaplan had to first convince his family to accept the fact that he was postponing his studies at one of the top schools in the Unites States to try his hand at gambling. He had a strategy in place from the beginning after reading several books on card counting. He strongly believed that with this knowledge, added with his strong mathematical skills he could come out on top. His stepfather was not too keen on the idea, and challenged Bill to a competition. After two straight weeks of beating his stepfather in blackjack, Bill ventured out into the magnificent world of blackjack with £600 and a song. In the space of nine months he had effectively turned that £600 into £20.000. After the leader of a group of students from MIT overheard him talking about his accomplishments, he asked Bill Kaplan to train him and his students. The gathered a team, and throughout the 80s they had a successful run of it. Mike Aponte was an instrumental part of this group. He was not too keen of the academic side of school and was surprise to have received £24.000 to gamble for the team. The only thing that shocked him more that getting the £24.000, was losing a quarter of it in his turn at that table. He didn’t give up, and he thought up a scientific strategy that made him able to recover and return with a profit of £15.000. However the winning streak didn’t last too long as the casinos began to spot the players and effectively ban them from the casino. These monumental wins gained them unwanted attention to the point where private detectives were hired to find them. The trick to getting pass the casino guards, was to be seen as a high roller and not a brainiac. This was a hard task for one of the MIT team members. Although he passed the initial test, his looks and personality gave him away. In 1992 they wanted to bankroll a new team, and Strategic Investments was born. Friends and family invested 1 million dollars in the start-up company. This was very impressive and showed they had faith in the techniques and strategies employed by this team of professional blackjack card counters. It so happens, that this particular member and his wife were arrested, and the stake and winning confiscated. This was a very hard blow for the team. Being caught did nothing for moral, in fact it broke their spirits and the interest in playing blackjack dwindled. It was really interesting to note the measures some of these players employed to continue playing blackjack. One even dressed as a woman to avoid attention. In 1993 the pressure and attention got to great for the group, which had a membership of about 80 players. Although the winnings seemed high, the splits that eventually had to be made to satisfy the return on investments and players’ cut were less than ideal. Kaplan decided that his best chances of making substantial money, was not at the blackjack table, but in real estate. His wife was ecstatic that the headache was over and that no one was calling in the wee hours in the morning asking for advice. After Strategic Investments went under, Aponte and other members branched out and formed multiple teams. With the past experiences still fresh in their minds, they were able to maneuverer around and through some of the pitfalls; one being the personality of the recruits. Unfortunately for Aponte, he became well known, so participation in the actual card counting was no longer on the cards for him. 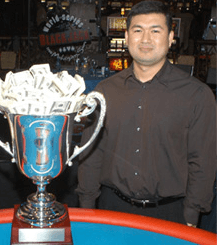 In 2004 he became the World Series Blackjack champion and further went on to advise the casinos. This team was able to pull off the most amazing feat with some brains and a sound strategy. 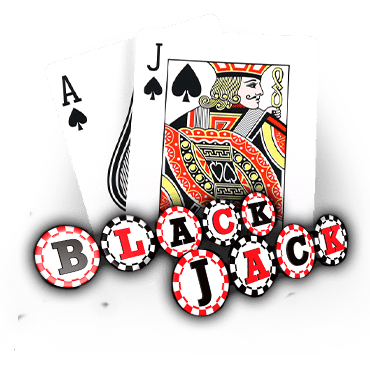 It was not all roses for this group but also a learning curve and induction into the wonderful exciting world of blackjack.